Egypt, the legendary country where pyramids rise from golden sands and turbaned men ride camels across the desert. The longest river in the world, the Nile, wends its way across the country and birthed one of the greatest ancient civilizations on its fertile banks. Feats of ancient human construction and natural wonders combine to make Egypt one of the world’s most popular tourist destinations. 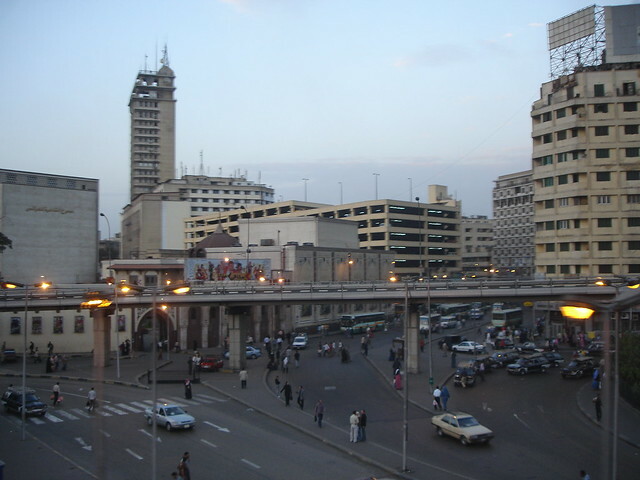 Egypt’s capital, Cairo, offers a glimpse into both ancient and modern Egyptian history, a bustling café scene where you can sit for hours relaxing and meeting some Egyptians, remnants of Islamic, Byzantine, Greek, and other influences, and a jumping off point for adventures on the Nile. Egypt is generally a safe place to travel when using the same precautions you would take when traveling in your home country, however, due to the recent revolution the U.S. State Department advises increased cautiousness on the part of travelers. Demonstrations still erupt and even peaceful demonstrations can turn violent; foreigners are sometimes the objects of violence during demonstrations. 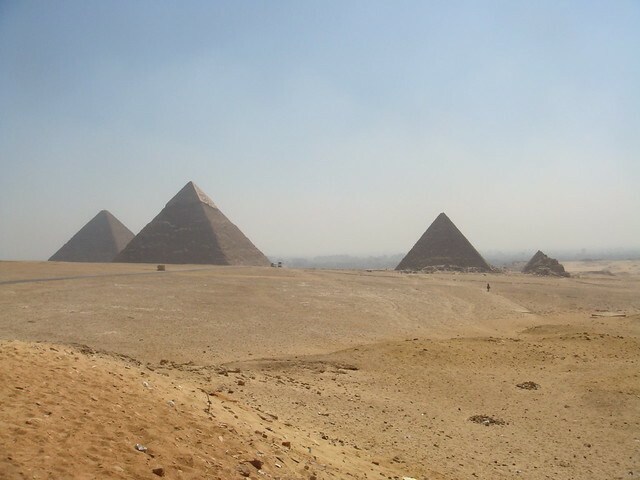 The Great Pyramid at Giza, built for the Pharaoh Khufu, took twenty years to build and was finished in 2560 BC. It has endured for centuries, but the original smooth outer casing has worn away so we now see the pockmarked core structure, nearly the same color as the sand that surrounds it. Step inside through the Robber’s Tunnel to see what the great structure looks like inside. The Valley of the Kings, just outside Luxor, is the burial place of most Pharaohs that ruled during the New Kingdom. King Tut’s tomb is in the Valley, however, many of the other tombs are more spectacular as most of the burial objects have been moved from the tomb to the Egyptian Museum in Cairo. The Tomb of Ramesses VI features some of the best-preserved wall paintings of any of the tombs in the Valley of the Kings. 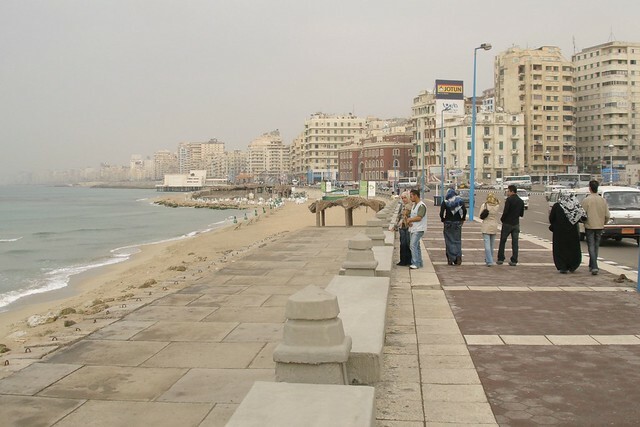 In Alexandria, you’ll find sites from many eras of Egyptian history including Roman ruins and the fifteenth century Citadel of Qaitbay. Rent a small boat and sail down the Nile in Cairo for a day. 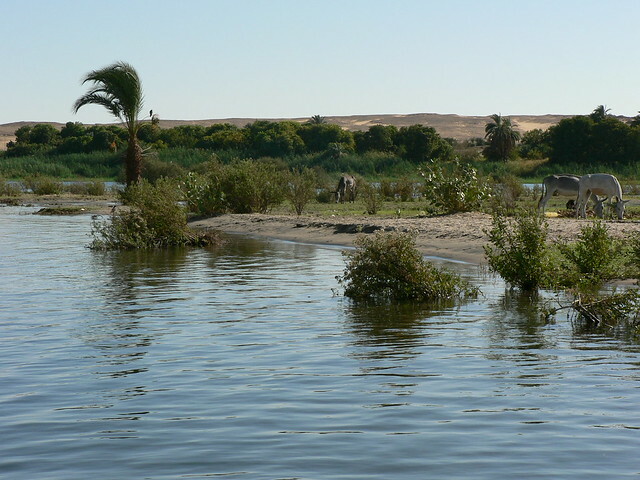 Or take a longer boat tour down the river from Cairo and into the desert. While there are many luxury cruise ships that you can take down the river, for a more adventurous experience on the Nile take a long cruise on a felucca where you’ll sleep on the deck under the stars. You can also book a safari where you’ll hike and ride through the Egyptian desert seeking out ruins and wildlife. Native guides will lead you on a trek through the endless sands. Many tour operators offer full board and tents for multi-day treks and some offer day-treks from hotels in desert oases.